Sherriff Amenity will be launching a number of new products, offering a range of special show offers and giving away free prizes on Stand E060 at SALTEX 2016. Sherriff Amenity, providers of the most comprehensive range of goods and services to the UK amenity and landscape markets, are expecting a busy exhibition when SALTEX opens its doors at the NEC on 2 and 3 November. 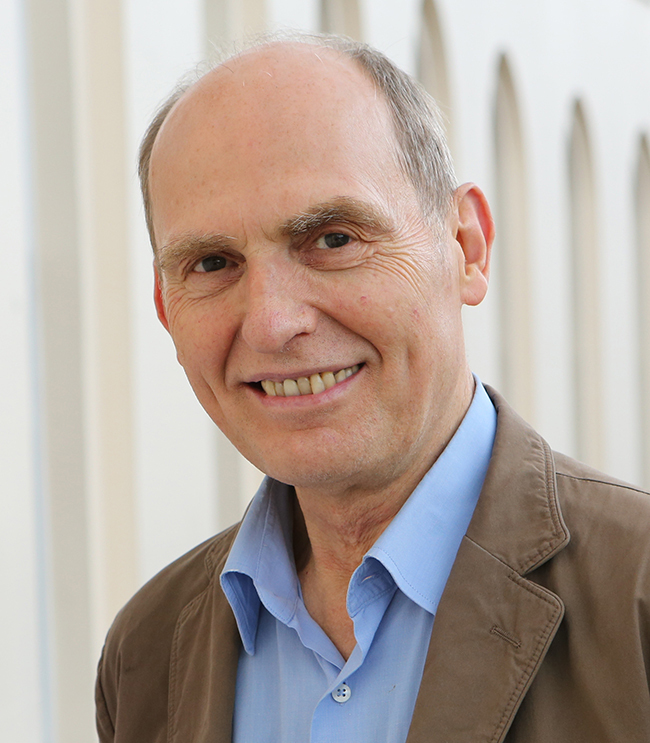 The main attraction on stand E060 will be without doubt the launch of the company’s new E² Pro range of liquid & soluble fertilisers as well as the launch of Nemaflo – a unique product to be used with beneficial nematode biological pest control product. The E² Pro liquid fertiliser range is based on advanced formulation technology that provides rapid leaf penetration and quickly relieves nutrient deficiency symptoms. The range includes six products to ensure that every turf requirement is met throughout the year and is tank mixable offering flexible application rates while providing consistent colour. A range of high quality water soluble fertilisers, E² Pro Soluble features five different products with a broad NPK analysis to cover a whole host of nutrient requirements. This highly efficient turf fertiliser can also be tank mixed with approved partner products to fulfil a broader nutrient requirement. Ideal for ‘spoon-feeding’ at the beginning and end of the season, the E² Pro Soluble range can survive long-term storage and are ready to use in an instant. Those experiencing unwanted pests in their turf such as Leatherjackets and Chafer Grubs, will be interested in finding out more about Nemaflo – a unique carrier to be used in conjunction with beneficial nematode products such as Sherriff Amenity’s Sportnem-H and Sportnem T. This specifically designed carrier aids the movement of insect-parasitic or entomopathogenic nematodes into the soil profile to the target pest. The most important reason to use a carrier is that the nematodes, being very small, can get ‘stranded’ within a water droplet. Nemaflo will reduce their ability to spread out and establish and will aid the movement in order to get the nematodes to the target pest. 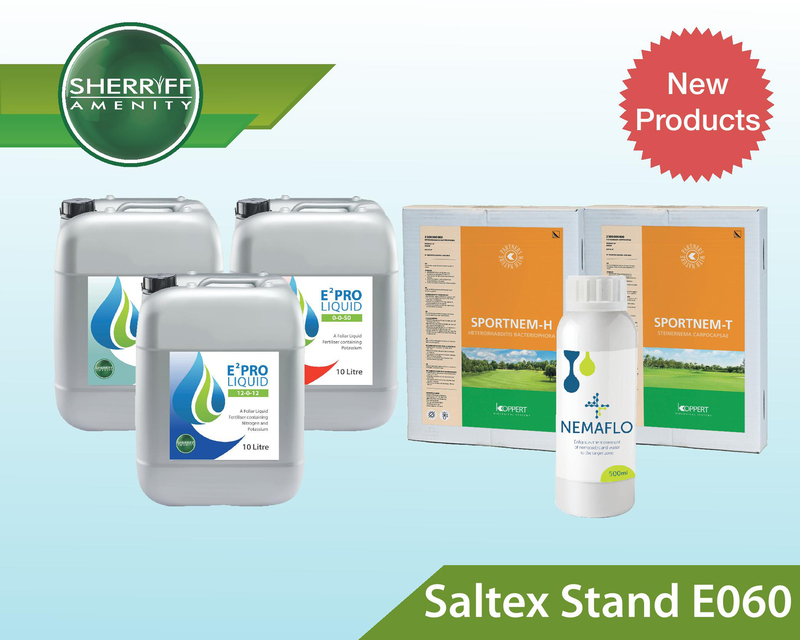 Not only will SALTEX visitors get the opportunity to find out more about these three new innovative products, but they will also be in with a chance of walking away with some fantastic prizes and some show-only special offers on a range of Sherriff products. One lucky SALTEX visitor will win a brand new iPad Mini preloaded with TurfReports – a unique turf management system which provides groundsmen and greenkeepers with a detailed analysis of their turf health, performance and weather specific of their site. Ten runners up will each receive a prize of a year’s subscription to TurfWeather – a dedicated sports turf weather system that is setup specifically to your postcode. TurfWeather displays in depth weather forecasts and also provides comprehensive Growth Degree Days (GDD) information which is presented in easy to understand charts. Sherriff Amenity will also be running some special show offers which will include the new exclusive range of Osatu Professional Knapsacks which come complete with a 5 year manufacturer’s warranty.